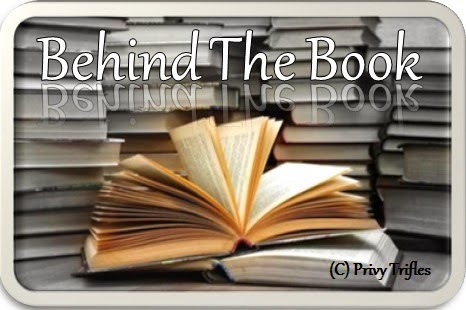 Over to her now, as she takes us behind the book - Soul Warrior. 1. A warm welcome to Reviews and Musings. 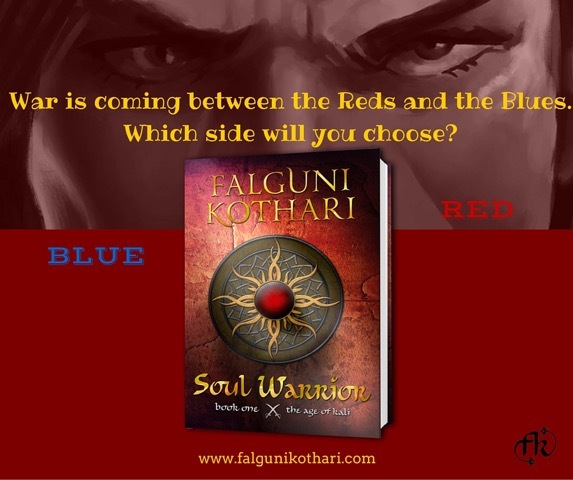 Talking about Soul Warrior, tell us what made you try a mythic fantasy? Thank you. It is my pleasure to be on this blog. So, what made me try a mythic fantasy? I am obsessed with myths. I am particularly obsessed with myths from India. All through my childhood, I listened to my grandmother and her masseuse (maalishwalibai) tell me stories from the Mahabharata and the Ramayana. I am also a semi-professional Kathak dancer, and have played Sita, Yudhishtira, Karna, and Radha in many recitals or plays. I suppose myth is in my blood, and once I started writing, the stories I’d heard in the past just boiled to the forefront of my brain. I decided to combine myth with fantasy, because I’d always interpreted the old legends in a non-classical way. And I realize now that it was how my grandmother and the masseuse had told them to me. They hadn’t told me the classical versions, or not only. They’d always ended the story with a “What if?” What if Yudhishtira had never lost his kingdom, his brother, his wife and his soul in that game of dice? What if Krishna had sided with the Kauravas and not the Pandavas? Then we’d sit and think about how different the stories would be, if one twist, or one character was out of place. I clearly remember that most of the stories I was told were from the woman’s perspective. My grandmother was a progressive thinker. 2. So how many books is this Age of Kali going to have? Can you tell us more about what a reader can expect from this series? I want to write six more books: one for each offspring. But, I can write it as a trilogy and add additional novellas for the side characters to go between the three main books. What do you think? Would readers like seven books or three books with some novellas? But be warned, the series gets darker with each story told. I have outlined the story arc. 3. Usually venturing out to a new genre is something that scares most of the authors fearing reader's reaction. How did you feel? Were you nervous about bringing this book out? I don’t think about genre when I image/write the story—which may be detrimental to my career in a way, but it’s the way I write. Most of my stories have romance in them, so I don’t think my readers should be put off. Plus, no matter the genre I write, I believe a writer’s signature style comes through. The way a writer strings words together is unique to him/her. No other writer can write the story he/she is writing because no other writer writes like him/her. So, I figure, if a reader likes the way I write, that reader will read all my books. 4. When and how did you realize your calling for writing? I’ve always had a way with words, maybe since I spoke. I’d never formally aspired to be a writer in my youth or even in adulthood. I was and am an avid reader. And I love stories told in all its formats. But I realized that maybe writing was my calling only after I was forced into taking some online classes (by my mother) in the hopes that I might finally finish my college education. Sadly, I did not finish my education, but have rather stumbled into my vocation: writing. Creating stories appealed to me so much that now I wonder why I never thought to do something with it before. 5. Do you follow a particular routine for your writing? I don’t write every day. I like to think and ruminate on a story or character before I begin writing. For creating first drafts, I like to write in the middle of the night in absolute silence and darkness. And I edit and research during the day. 6. Where do you draw inspiration for your stories from? Everywhere. Other stories. People. Animals. Camel poop. 7. 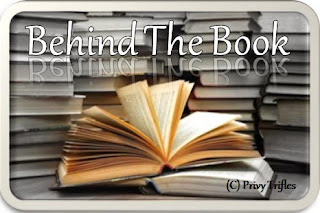 With so many writers trying mythology these days how do you think your book is going to be different for the readers? 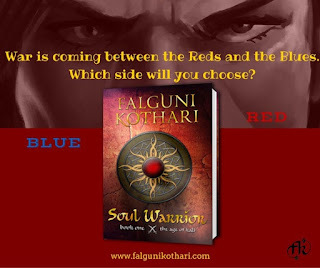 Soul Warrior is not a retelling of old myths, it is a refabricating of the old and creation of the new. I’m not only putting a twist in the old legends of India, I have brought the Gods and the legends into our world—the modern tech world. Imagine Yama doing karaoke. Can’t imagine? 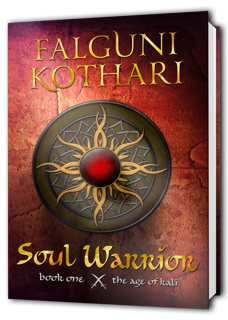 Read Soul Warrior and you won’t have to. 8. So do we see you experimenting with genres even in future? If yes, what are the ones you would like to try your hand at? I have a women’s fiction with a romantic bent coming out in May 2016. I am about 97% sure its title is My Last Love Story. I had a hard but thoroughly rewarding time writing this story. It’s a sob fest. I think I’ll have to warn people to keep a box of tissues close while reading. And, don’t freak out, but I’m writing a romantic suspense right now. So, you see, while the individual genres of my books may seem different, the base of all my stories is love. Maybe not romantic love always, but love of family, love between friends, between siblings etc. 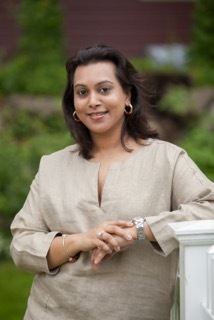 And I will always write about India. 9. Any message for aspiring writers? Write. If you can’t write every day, think about writing every day. Think about your story, your characters, your setting. Once your brain is full, you will have to write it down. Keep reading, because books are good karma. And stay in touch because I love you guys and I love hearing from you.